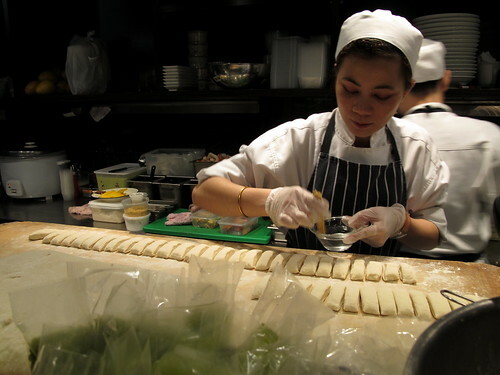 The last of my posts covering my recent trip up to Sydney is all Thai. Despite being a fiercely proud, passionately pro-Melbourne Melbourne girl, I readily concede that Thai food is one cuisine that (generally speaking) Sydney does a thousand times better than Melbourne. WHY IS IT SO? Does anyone have any bright theories? It can't JUST be a climate thing, right? As much as I enjoy Melbourne restaurants like the refined Paladarr Thai Issan or the hip new Easy Tiger, I crave the exciting (yet cheap) Thai food that Sydney does so damn well. My first night in Sydney, my dear friend C picked me up from the airport and drove me back to his Pyrmont apartment to meet his new partner W and to share a bottle of (very nice) champagne. The three of us then made our way over to Thai Town, the Thai-centric part of Haymarket, where they introduced me to the delights of the ultra-popular Chat Thai. 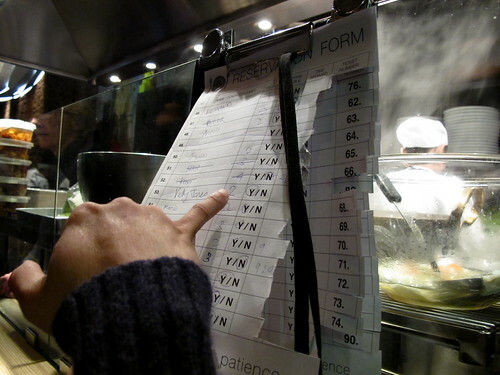 Bookings can be made, but mostly it's a DIY reservation system where you arrive, write down your name, number of people, whether or not you're happy to share a table and your time of arrival. Then you tear off your number and wait for it to be called. The charming C, waiting by the kitchen for our table while W went off to buy a bottle of white wine. 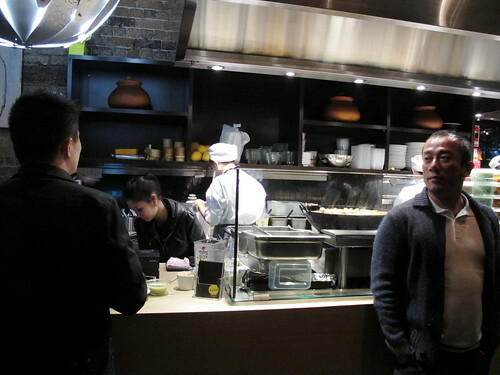 The bustling interior of the restaurant, filled with a good mix of students, Thais and others. Not only is it open seven days a week for lunch and dinner, it's open for supper until 2am... it's almost like being back in South East Asia! 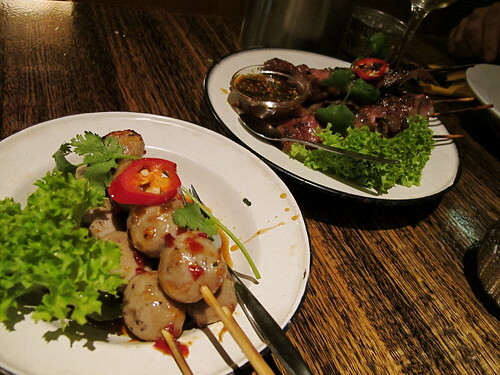 We started with some skewers: loug chin ping (meatballs with nahm jim) and mu bhing (char grilled pork marinated in galangal, lemongrass and garlic and nahm jim jeaw, which is a relish made of ground rice, roasted chillies, palm sugar, tamarind essence and tomatoes). $2 per skewer, packed full of punchy flavour. Marvellous. 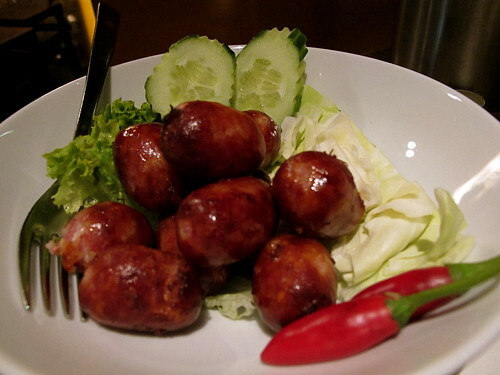 The sai grog essan ($10) were gorgeous fat little pork and rice sausages (left to ferment for days), fried and served with fresh cabbage and ginger. We also had a fantastic larpb gai (only $8!!). The juicy poached ling fillets were topped with a handful of fresh Chinese celery and served with a zesty side relish of garlic and bean sauce ($14.90). The pad thai with prawns was $12.90 (but had we ordered it with chicken or tofu it would have been only $8.90). 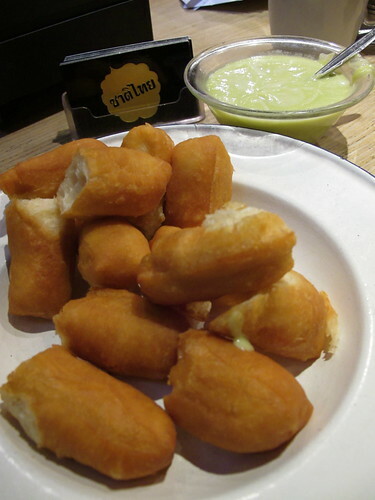 A woman up at the open kitchen at the front of the restaurant was preparing par thung go (a type of fluffy donut stick) then frying it up. A bowl heaped with par thung go was placed by the cash register along with a dipping bowl of warmed green pandan custard, as a delicious free snack for passing patrons. 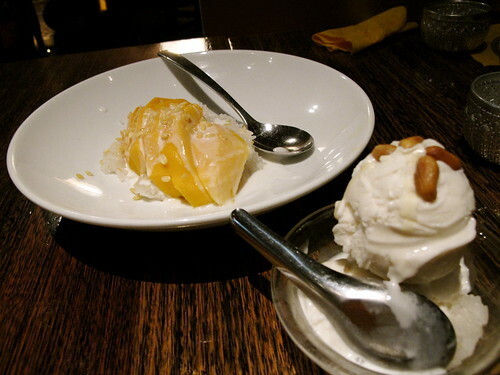 For dessert, C and W insisted we order the mango sticky rice ($7.50) and the coconut ice cream ($5). We ate like kings and our bill came to less than $90 for the three of us. The following day I went for late lunch with my Sydney hostess, the gorgeous Miss C, to Sujet Saenkham and Padet Nagsalab's new Issan-style restaurant House (on the strength of a Twitter recommendation from the lovely Eatnik). On my recent trip to Thailand I became addicted to som tam (green papaya salad), a dish that is sadly rare in Melbourne Thai restaurants. Imagine my joy when I opened the House menu to find not one but FIVE varieties of som tam to choose from! We went with the som tum Lao ($8), the one with fermented fish sauce and shrimp paste. Papaya salad and Miss C, looking pretty. 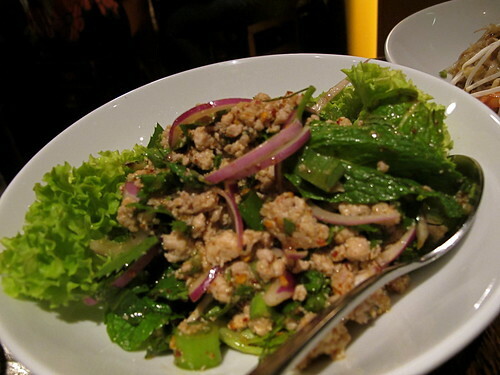 Issan street food is known for its heat, and the larb nua ($12) was no exception. 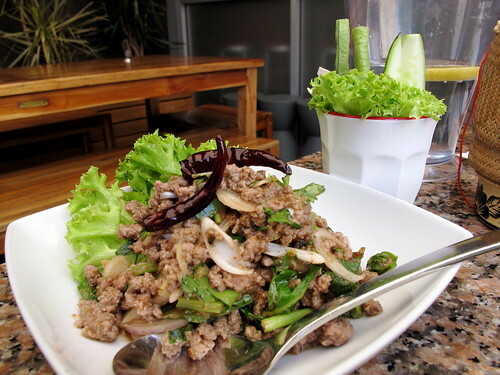 Minced beef with eshallot, shallot, Vietnamese coriander, mint, ground roasted rice, ground chilli and lime. Here - here! 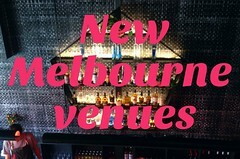 - is the heat missing from so many Melbourne Thai restaurants. It was so hot it practically made us cry (so we munched lots of cucumber and sticky rice to compensate), but was also deliciously sour and salty. More please. DUCK. 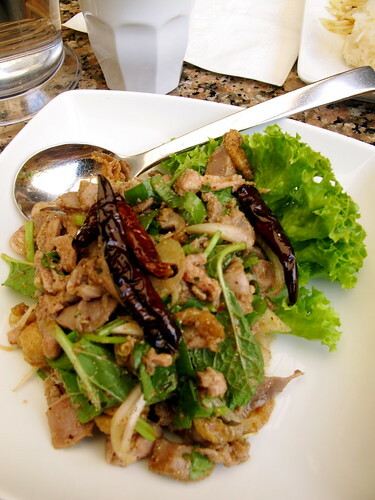 Although the dish was similar, I couldn't resist also ordering the larb ped ($18, the most expensive thing on the menu) as I'd never tried duck in a larb before. Oh SWEET LORD it was good, my tastebuds water at the memory of it. We also really enjoyed the gai yang (char grilled marinated chicken, $16), served with a jim-jaew dipping sauce. Because we got there at about 2:30pm on a weekday afternoon it wasn't particularly crowded - but I understand it gets packed in the evenings, transforming into a happy Thai beer garden (the pub next door sells beer and wine which you can bring into House). As much as I like Saenkham and Nagsalab's other culinary success story, Spice I Am, I think I like House even more. Sigh! Love, love, love Sydney Thai. I don't even think the restaurants I frequented on King St during my uni days were all that authentic, but they had their own delicious stamp. 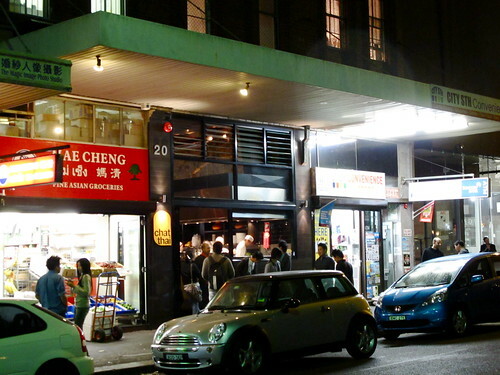 Does anyone know what Thai food in Sydney was like pre-David Thompson? 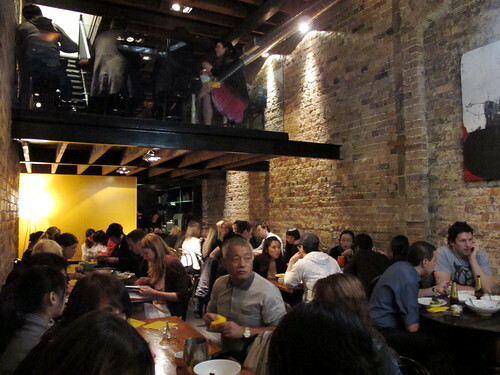 If Sydney pre-Thompson was like Melbourne is today, then Thompson may have proved that people were willing to eat Thai food that was close to authentic, and that's when Sydney made the jump ahead of us. Also, Sydney seems to have plenty of Thai restaurants in the city. When you have customers who are Thai and students, that means there's a demand for authenticity and it helps to keep prices down. 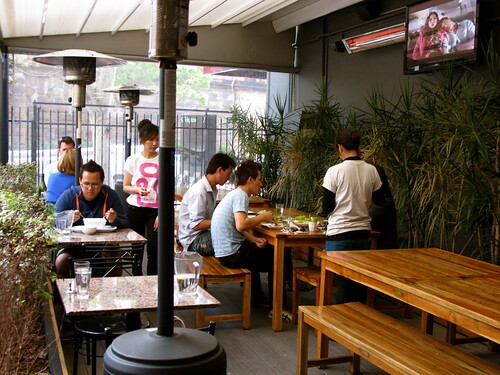 In Melbourne, the Thai places are in the suburbs. This has a double effect in that the owners will keep the food blander for their customers, and they can keep prices higher with a lack of competition from other Thai restaurants. 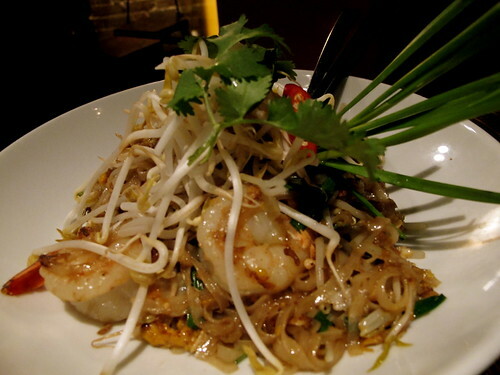 gosh u would think that food in sydney be tons more expensive than melbourne and brisbane..
pad thai for 12.90?? i had 1 the other day in a CBD thai restaurant and it was 23.90! I think Daniel raises an interesting question there about Sydney Thai pre and post David Thompson. It only takes one successful person and a little time to alter the face of the culinary scene in a particular city - as long as they have had enough time to influence their apprentices and chefs. I suspect that there are now a lot of chefs around who have worked with Thompson and have gone on to train other chefs and apprentices. We'd be a few cycles into that by now and the result is a lot of people who know waht they are doing. It's probably not too dissimilar to Greg Malouf's influence on Middle Eastern food in Melbourne. You're just eating it in the wrong place in Melbourne. There are seriously good Thai and Isaan joints out in Springvale - but they're a hike to get to if you live in the inner suburbs (as most food bloggers do). 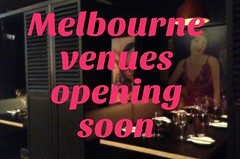 It's more about where the Thai restaurants are located in Sydney and Melbourne respectively. In Melbourne, there is also the demand for inauthenticity - most of your suburban Thai joints do great business serving up curries straight from the Mae Ploy bucket, so there is not any economic reason to work harder. i still need to try the famed Chat Thai in Haymarket but i've enjoyed Spice I Am so far. I tried House but found many of the dishes just too hot and spicy for me :-) glad you got to try some of the best cheap Thai places Sydney has to offer. I had a similar experience to this! 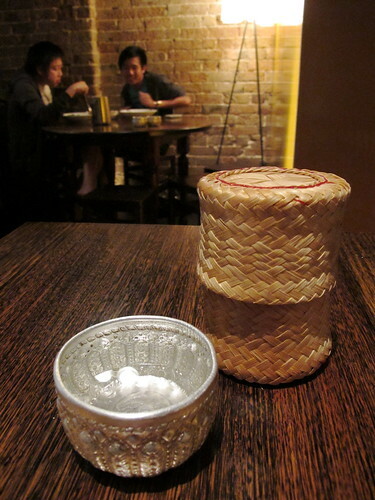 Last week I was in Byron and had a spectacular thai meal at a place called Thai Lucy. I probably ruined the meal for my friends by bitching and moaning all the way through dinner about how much better it was than any of the Thai food in Melbs. God I love Thai food, so much more than curries. Wonderful pics! 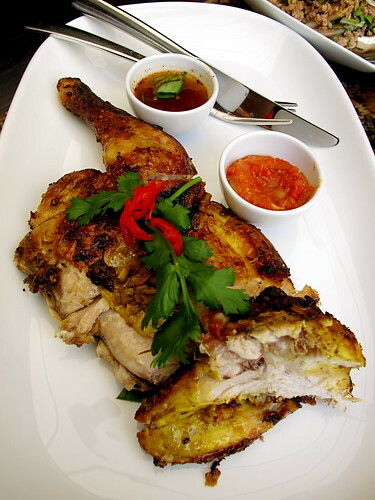 Did you know Chat Thai serve different menu depending on time? Was told they have different menu for breakky, lunch & dinner, supper. Never get sick of having all 3 meals at Chat Thai a day. 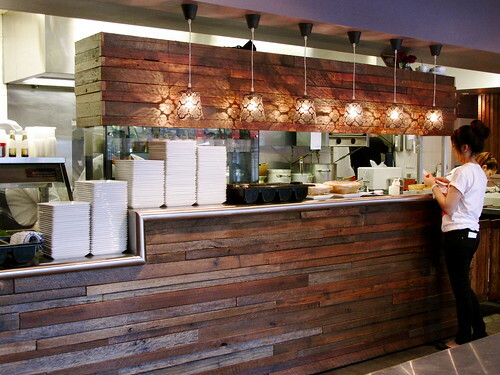 I think the idea that David Thompson shaped the Thai food culture in Sydney is something of a stretch. Might it not have something to do with the fact that Sydney's Thai population is about around double that of Melbourne? Thanks everyone for your comments and theories on the Melbourne vs Sydney Thai thing. Joe you paid $23.90 for pad Thai?? Phil, I'd love it if you could you give me some names of places I should try out Springvale. As a CBD working Richmond dweller without a car I freely admit that I hardly ever get the chance to get out to the 'burbs, but would be keen to have a Thai excursion one weekend soon! Thai food in Sydney is the best. Thai food in Canberra is boring and predictable. We also go to one of those thai restaurants when we come to Sydney. 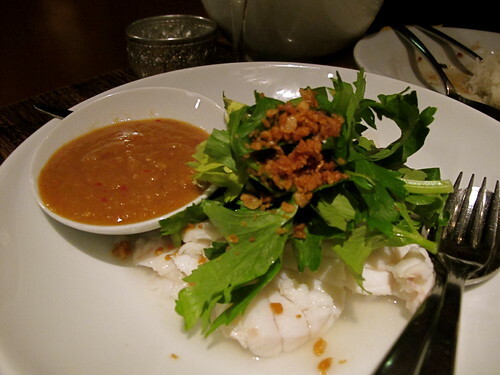 Just for your information, som tam is not called som tam in Laos; it is called tamak hung. I live in Laos and my sister in Law has a small corner shop that makes this beloved snack. I use snack advisedly, as this is not really eaten as part of a meal, but rather at anytime of the day.